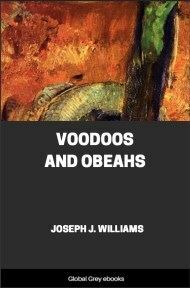 This book examines the history of voodoo and obeah in the Caribbean, specifically in Jamaica and Haiti, traces them back to their roots in Africa and discusses the influence imperialism, slavery and racism had on their development. Edward B. Tylor writing as long ago as 1871 observed: "Serpent worship unfortunately fell years ago into the hands of speculative writers, who mixed it up with occult philosophies, Druidical mysteries, and that portentous nonsense called the 'Arkite Symbolism,' till now sober students hear the very name of ophiolatry with a shiver.' 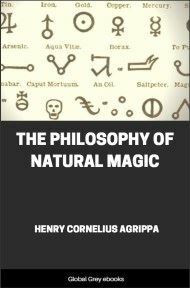 Yet it is in itself a rational and instructive subject of inquiry, especially notable for its width of range in mythology and religion." Dr. C. F. Oldham, Brigade Surgeon of his Majesty's Indian Army, tells us in the Preface of his interesting little volume, The Sun and the Serpent: "This work, which is based upon papers read before the Royal Asiatic Society in 1901, was at first intended to refer only to Indian serpent worship. It was soon found, however, that the serpent worship of India did not originate in that country but was, in fact, a branch of the worship of the Sun and the Serpent, which was once well-nigh universal. 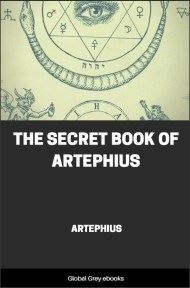 It became evident, therefore, that a history of the Indian cult would go far to explain the nature and origin of serpent worship, in other countries and in other times." 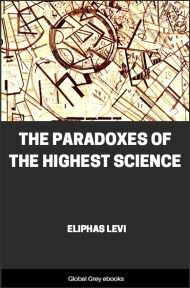 While we cannot accept many of the views expressed in the course of this work, his final conclusion is most important, coming as it does from such a source. 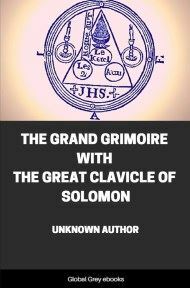 He says: "It would seem, moreover, that the deification of totems, of kings, of ancestors, and of the heavenly bodies, which furnish so many of the divinities associated with the Sun-god; as also the human sacrifices and other abominations, which occurred in some Sun-worshipping countries, all arose from the corruption of the earlier worship of a supreme deity who was believed to reside in the Sun. The Gayatri--the most sacred text of the Veda, which must not be uttered so as to be overheard by profane ears, and which contains the essence of the Hindu religion, is a short prayer to the Sun-god, who is addressed as Savitri, the generator or creator. The early Egyptians, and other ancient peoples also, seem to have worshipped the Sun-god as the Creator." in speaking of Africa, however, Egypt, at least for the present must be excluded from our consideration. 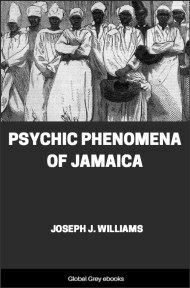 For our question now deals with rites distinctively belonging to the black tribes, whether we class them as Bantus or Negroes in the strict sense of the word. And while at first glance it seems but natural to assign an Egyptian origin for the cult, as far as the dark continent is concerned, Wilfrid D. Hambly, Assistant Curator of African Ethnology at the Field Museum of Natural History, Chicago, the first to produce a strictly scientific work on the question of serpent worship in Africa after a prolonged and careful study, has adduced strong and convincing reasons to the contrary. Hence his conclusion: "Examination of African Python worship in relation to cults and beliefs from other parts of the world provides no evidence that Africa received Python worship from extraneous sources. On the contrary, the evidence is strongly in favour of an indigenous origin of Python worship." And again: "There is nothing more than a superficial resemblance between the snake beliefs of Africa and those of ancient Egypt." In any case, the subject does not really come within the scope of the present work. We are, it is true, in quest of the origin of Voodoo as a serpent cult, but precisely, as we shall see later, under the particular aspect of worshipping the non-poisonous python. We have nothing to do here directly with rainbow-snakes, or other like variants of the serpent cult. Canon Roscoe furnishes us with a description of the principal centre of serpent worship in East Africa. He tells l-is: "The python god, Selwanga, had his temple in Budu, by the river Mujuzi, on the shore of the lake Victoria Nyanza. . . . The appearance of the new moon was celebrated by a ceremony extending over seven days; for this the people made their preparations beforehand, because no work was done during the festival. A drum was sounded as soon as the moon was seen, and the people gathered together to make their requests and to take part in the ceremonies. Those who wished to make any request brought special offerings, whilst the rest brought beer and food as they pleased. The priesthood of this deity was confined to members of the Heart Clan; the chief of the. state upon which the temple stood was always the priest. His dress was the usual priestly dress, that is, it consisted of two barkcloths, one knotted over each shoulder, and two white goat-skins as a. shirt; round his chest he tied a leopard-skin decorated with beads and with seed of the wild banana, and in his hand he carried two fly-whisks made from the tails of buffalo. The priest first received the offerings for the god and heard the people's requests; then, going into the temple to the medium, he gave the latter a cup of beer and some of the milk from the python's bowl mixed with white clay. After the medium had drunk the beer and milk, the spirit of the python came upon him, and he went down on his face and wriggled about like a snake, uttering peculiar noises and using words which the people could not understand.